Impressed with our product? Let others know by sending us a testimonial and we'll post it on this page. 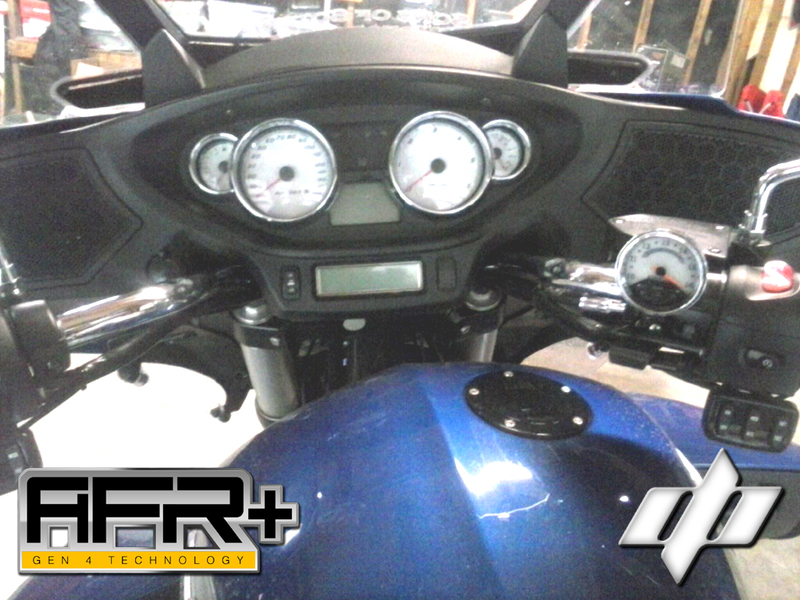 Contact us about how we helped you achieve the best tune-up with your powersport's vehicle. Oh my gosh I totally love it. I cannot begin to tell you just how much more power the AFR+ gave My RZR/4 1000. The torque and getting up to speed was a night and day difference. This pair up with the HMF pipe is amazing. We were jamming through huge bowls in the dunes holding 55-60 mph no problem with 4 people in the car. LOL. Just wanted to let you know that you have a GREAT product! I received my AFR Plus for my Grom last night and installed it. What a difference it made in performance by enhancing my Stage I modifications. When I used to tune Hondas and Integras I would have to drive around as a passenger with my laptop hooked into the ECU so I can customize the fuel maps. The Dobeck technology does all this with instant results! I planned on upgrading the performance of my 2014 Victory Cross Country Tour and the performance parts I would be installing would require a tuner. I researched tuners extensively. What I found was that with most other tuners, a dyno tune would still be needed to get it just right. Dobeck's AFR+ really does eliminate the need for a dyno tune. What sold me is I read a post from one of the most reputable Victory performance shops who installed the AFR+, followed the instructions supplied then put it on his dyno to see how good it was. His dyno showed it to be "right on" which proved to me that this kit is the real deal. After installing my performance parts and the AFR+, my air/fuel ratio was exactly where the Victory builder said it should be. I didn't have to adjust the ratio, it was set correctly straight from the box. I have piece of mind now when I look down at my gauge and see the needle right where I want it to be throughout the whole rpm range and load. From the factory, the engine runs too lean and it gets hot, the heat around the legs was uncomfortable. My engine runs much cooler now and my fuel economy is just as good as it was before, despite pulling the front wheel off the ground when accelerating! :-) Customer service was excellent. I placed my order over the phone and received email communication regarding the status of my order as well as a tracking number. Thank you Dobeck Performance! I'm telling all my buddies about this tuner. 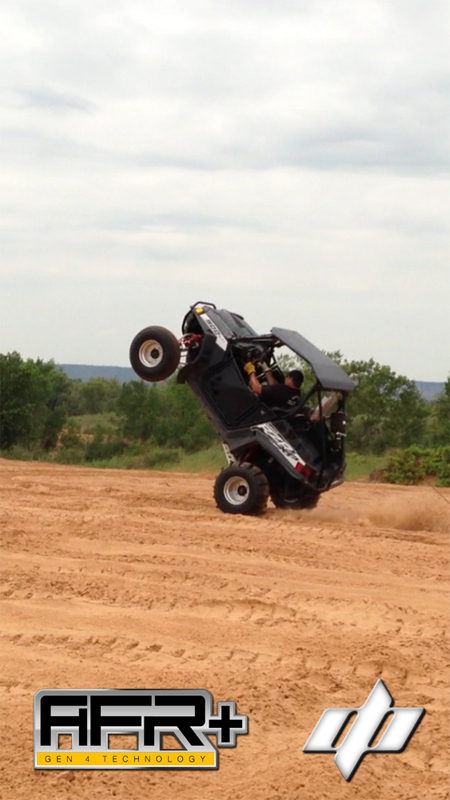 I just wanted to say thanks again for all your recent help working out the problems on my RZR. I have a 2012 Polaris RZR XP900 that is supercharged by procharger (6lbs boost), Yoshimura PIM2 controller, stock exhaust, custom open air filter and clutch kit. It has always ran pretty strong and quicker that a stock XP900, but nothing like it should be for the $5000 supercharger cost. There has been a dead spot mid-range throttle ever since the procharger. I have played with lots of different fuel maps, but never seemed to help a lot. So while searching internet, trying to get some help on this, I ran across your AFR+ (GEN 4) controller. I called you guys up the next day and was really surprised on how helpful everyone was on answering my questions and in placing my order. Three days later the AFR+ controller showed up. It took me just an hour to install from start to finish. Very good instructions and super easy to program. Almost too easy!! Felt like I should be doing more!! After install and warm up the GEN 4 controller kept my AFR values right where I had programmed them to. Now for the test drive. I could not believe the first time I got into the throttle. No dead spot. More responsive than it has ever been and almost uncontrollable power. It will now wheelie fairly easy. Never thought mine would do that. This was an amazing difference. Almost like a completely different machine. This was the answer I have been looking for more than a year now. In my opinion this is the best controller out there. Super easy to use for the average guy and works just like they say it will. Thanks again for the great service. That is getting harder to find these days. If I can ever be of any help feel free to call or have your customers call me.